May was an amazing month for live improvised music in London, with three contrasting events highlighting the range and diversity of the music. Over the holiday weekend at the start of the month, the third annual Freedom of the City festival was a showcase for the home-grown style of free improvisation, with the London Improvisers Orchestra providing one its of many high spots. Steve Beresford is one of the orchestra's leading lights and regular conductors, specialising in concerto pieces. As he has observed (when writing about Cranc) "Free improvisations are always, if they are any good, liable to capsize. But that capsizing potential is what makes free improvisation the genuine theatre that it is, a real time drama where people don't pretend." A new release on Emanem, from last year's Freedom of the City festival, The Gathering for John Stevens is another fine example of this. As its centrepiece, it features three John Stevens vocal pieces, performed by an ensemble led by Maggie Nicols. As the pieces demonstrate, the late lamented Stevens was certainly no stranger to the risk of capsizing, nor is Nicols herself. On May 14th and 15th, The Necks played two nights at Pizza Express. The Australian trio's music is all improvised, but its slowly-evolving, sensually-textured dynamic is in complete contrast to the music produced on the London scene. On the afternoon before the first show, I talked to The Necks, bassist Lloyd Swanton, drummer Tony Buck and pianist Chris Abraham, about this and other matters. The interview is below. When the Midnight Sun tour arrived in London on May 28th, we were presented with another contrasting take on improvisation in the guise of Supersilent. The Norwegian quartet - Helge Sten (aka Deathprod) on electronics, Stale Storlokken on keyboards, Arve Henriksen on trumpet and Jarle Vespestad on drums - only meet to play concerts or to record; they don't rehearse or discuss their music. Their music makes heavy use of electronics, notably treatments and delay of Henriksen's trumpet. (A brief solo set from Henriksen - during which he single-handedly built a multiphonic, layered tapestry of sound, left one craving a much longer feature.) As with much improvised music, its direction is unpredictable; at the gig, Supersilent produced an adrenalin-charged noise storm that owed much to rock music. (At times I was reminded of late sixties Soft Machine) This contrasted dramatically with the more subdued, atmospheric mood of their latest CD release, Supersilent 6 (Rune Grammofon), one of the year's best so far. 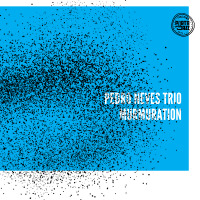 Three versions of improvised music, all very different, all very good. Lucky us! All About Jazz: For a gig like tonight, what preparation do you do, if any? Lloyd Stanton: A good night's sleep. It is completely improvised, so there is nothing to talk about. AAJ: So when you go on stage, what happens happens. It is totally improvised. Tony Buck: Whoever starts first, whoever gets the idea, kind of sets the agenda a bit for what's going to happen, but it is kind of good not to know. Having said that, we do go on with fifteen years of preparation. LS: It will always sound like The Necks. We are not reinventing the wheel every night. Certainly we get into some familiar areas. But if that starts happening too much, we get bored with it and one or all of us will start pushing it in another direction, without having to say anything. It is just clear that, "We are not going to go there tonight, we are going to do something a bit different." TB: We are always pushing the envelope, adding different approaches or techniques, timbres and stuff. We all do so many different things outside of this project that there is plenty of source material to be applied within that template or framework that is The Necks modus operandi. LS: I feel that some of my other involvements are falling by the wayside over the last few years, as this band has been increasingly time-consuming. Certainly, it is not just other bands we play in; just the listening we do is always informing the direction of the music. I am certainly listening to different things now to what I was sixteen years ago, when the band started. I'm sure the other guys are the same. Chris Abrahams: Yes. We're the same. LS: We do have a framework, an approach, that doesn't depend on the material we use or specifics about music, even the style of music, in a way. It is just a framework into which to place all these different things. We don't dilute the concept at all, but it is really open to anything. There are infinite possibilities to add different approaches. AAJ: But you only need to hear a few seconds to know it is The Necks. How do you explain that? LS: I think to some extent the patient approach we have of not trying to force the music. The actual rate of change is very distinctive of The Necks. I think that does dictate the way things sound. We generally work with repeated motifs. Less so lately, we have been getting a little bit more rhapsodic in some of our improvisations. But they are a couple of elements, the rate of change and the repetition. And we have all developed a particular sound on our instrument, which may together combine to make a unique sound. CA: It was always like that. We sounded like The Necks when we first started playing together. It hasn't changed a great deal.